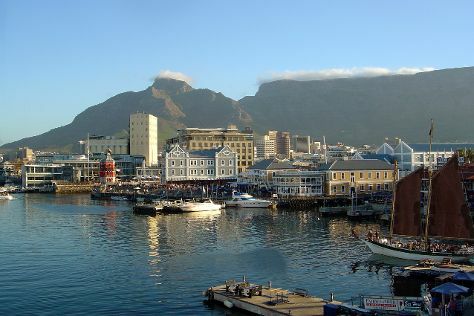 Cape Town is known for nature, parks, beaches, shopping, and museums. Your plan includes some of its best attractions: take in the waterfront activity at Victoria & Alfred Waterfront, take in the pleasant sights at Maclear's Beacon, get up close and personal with brilliant marine life at Two Oceans Aquarium, and get great views at Cape of Good Hope. For ratings, more things to do, where to stay, and tourist information, read our Cape Town road trip planning app . Amsterdam, Holland to Cape Town is an approximately 15-hour flight. You can also do a combination of train and flight. Traveling from Amsterdam to Cape Town, you'll lose 1 hour due to the time zone difference. September in Cape Town sees daily highs of 23°C and lows of 11°C at night. Wrap up your sightseeing on the 19th (Thu) to allow time to travel to Nelspruit. On the 20th (Fri), explore the wealth of natural beauty at Kruger National Park. On the 21st (Sat), you'll have a packed day of sightseeing: Head underground at Sudwala Caves, see the interesting displays at Sudwala Dinosaur Park, then explore and take pictures at Mbombela Stadium, and finally admire the natural beauty at Lowveld National Botanical Garden. To see other places to visit, maps, more things to do, and more tourist information, read our Nelspruit attractions site . Traveling by flight from Cape Town to Nelspruit takes 4.5 hours. Alternatively, you can drive; or take a bus. Expect somewhat warmer temperatures when traveling from Cape Town in September; daily highs in Nelspruit reach 30°C and lows reach 16°C. Wrap up your sightseeing on the 21st (Sat) to allow time to travel to Victoria Falls. 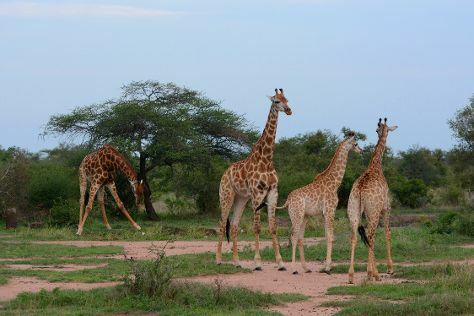 Spend the 23rd (Mon) spotting exotic species with a safari tour. Next up on the itinerary: explore the wealth of natural beauty at Mosi-oa-Tunya / Victoria Falls National Park, take an unforgettable tour with a helicopter tour, discover the deep blue sea with a scuba or snorkeling tour, and snap pictures at Victoria Falls Bridge. For more things to do, photos, where to stay, and other tourist information, go to the Victoria Falls attractions planner . Traveling by car from Nelspruit to Victoria Falls takes 15 hours. Traveling from Nelspruit in September, expect nights in Victoria Falls to be about the same, around 18°C, while days are somewhat warmer, around 38°C. Wrap up your sightseeing by early afternoon on the 25th (Wed) to allow time for travel to Marrakech. Marrakech is known for parks, shopping, historic sites, spas, and museums. Your plan includes some of its best attractions: take in nature's colorful creations at Jardin Majorelle, steep yourself in history at El Badi Palace, browse the eclectic array of goods at Jemaa el-Fnaa, and make a trip to Medina of Marrakesh. For maps, where to stay, and more tourist information, go to the Marrakech online journey planner . Getting from Victoria Falls to Marrakech by flight takes about 21.5 hours. Other options: do a combination of car and flight; or do a combination of flight and train. You'll gain 2 hours traveling from Victoria Falls to Marrakech due to the time zone difference. September in Marrakech sees daily highs of 38°C and lows of 21°C at night. Cap off your sightseeing on the 29th (Sun) early enough to travel back home.